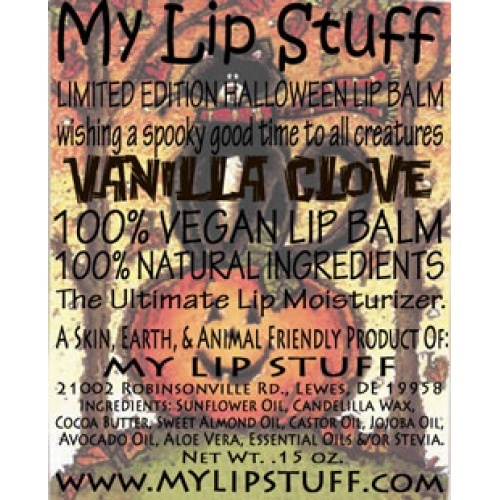 *Limited Edition HALLOWEEN lip balm! Vanilla Clove: A blend of vanilla and clove essential oils. Sweetend with stevia.